The so-called 90mm site in the Medford section of the Middlesex Fells Reservation. A proposal to build an ice rink off South Border Road in the Middlesex Fells Reservation has drawn stiff opposition from reservation advocates and some area officials, who worry it will disturb the ecology of that section of the park and cause traffic headaches. The plan, offered by a group of people with a background in youth sports in Winchester, would locate the ice rink on 5 acres of an approximately 13-acre Medford site near the Winchester line. The area, which includes a meadow and surrounding woods, is commonly called the 90mm site because in World War II part of it was used for 90-millimeter antiaircraft artillery. 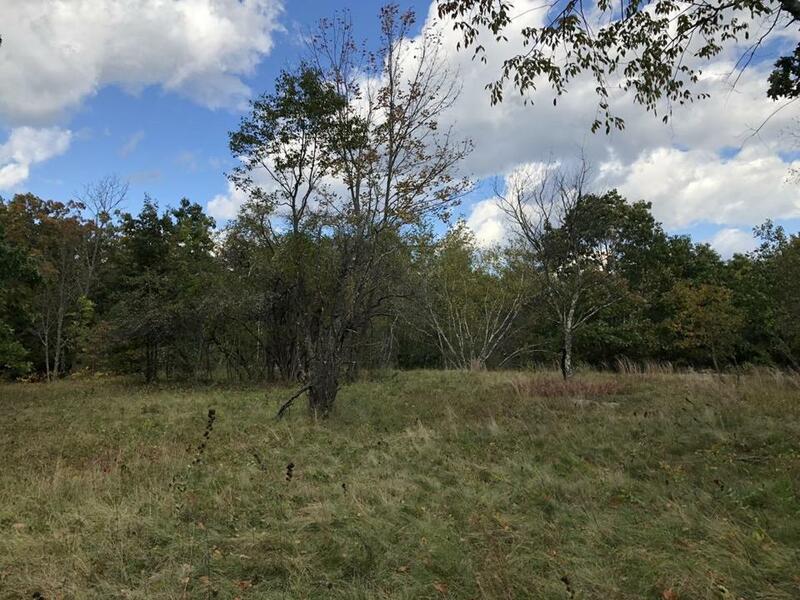 “They want to build a very big hockey building with a parking lot and take out 5 acres of the meadow to do it,” said Ron Morin, executive director of Friends of the Middlesex Fells Reservation, which opposes the plan. Morin said the development would disrupt the rich biodiversity of the reservation’s last remaining undisturbed meadow, and deprive local residents of a quiet area they have come to value. His group also worries the project could worsen flooding problems, and overburden traffic on South Border Road, a historic two-lane parkway. “It’s a chance to utilize land that has essentially been laid to waste and never been reinvigorated,” he said of the project. The state Department of Recreation and Conservation, which manages the reservation, is reviewing the ice rink proposal, according to DCR spokesperson Olivia Dorrance. DCR “routinely reviews proposals brought before the agency for the use of public land and department-managed facilities, and the review process does not mean an endorsement of a particular proposal,” she said. Morin said the meadow is a valuable bird nesting area and rich in butterflies, adding that a Harvard botanist recently identified 141 species of plants and trees in the meadow. State Representative Paul Donato, a Medford Democrat, said South Border Road could not handle the additional traffic from an ice rink and that he opposes taking Fells land for development. There are currently 42 ice rinks on DCR properties, including Flynn Rink, a 1958 facility in another Medford section of the Fells. Winchester does not have an ice rink. Winchester Youth Hockey and the Winchester High School hockey teams hold their practices at Flynn Rink and a number of other locations as far away as Belmont, Cambridge, and Newton, according to Martignetti. Because Flynn Rink ice time is at capacity, the youth hockey and the high school teams play their home games in other rinks. A state bond bill adopted in June included $2.5 million for “the study, design, and construction of the Middlesex Fells Recreational Facility on South Border Road.” Earmarks authorize funding, but the administration decides whether to spend it. State Representative Michael Day, a Stoneham Democrat who secured the earmark, said he met with the ice rink proponents last year and thought their plan was “worth exploring” as a way to address longstanding concerns about inadequate public access to that part of the reservation. But Day said he assumes the ice rink would be privately funded. He said his bond authorization was meant to support any recreational enhancements DCR and local communities might want to pursue in that area, whether ancillary to a rink project or undertaken without it. Martignetti said his group is committed to funding the estimated $5 million rink with private money, but would welcome any state support. Both Martignetti and another leader of the group, Dr. Denis O’Donnell, are past presidents of Winchester Youth Hockey. But while one focus of the rink plan is to expand ice time for Winchester youth, Martignetti said the association is not directly involved with the project and the rink would not serve Winchester alone. Martignetti, who along with O’Donnell is on the Flynn Rink board, said another rink is needed because demand for that facility now exceeds capacity. He said his group also saw the project as a way to help expand access to an underutilized section of the reservation. In addition to a parking lot available to all park users, the plan calls for such amenities as bike trails and a dog walking area.